I had no idea that females reproduce so slowly. One a year!! What was an absolute tragedy has gotten even worse. Hopefully this bacterium thing will help! Thanks for the update. 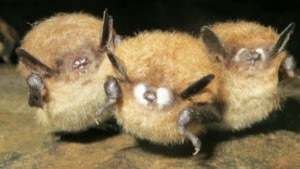 I <3 bats. So glad there are people dedicated to preserving these endangered species. Thanks for covering this.